Relax and Unwind with Lavender Essential Oil - Amphora Aromatics Ltd – Supplier of pure essential oils and aromatherapy Products. Lavender essential oil is widely loved and renowned for being one of the most valuable essential oils to help us relax and reduce stress levels. Incorporating the use of Lavender oil into your day to day life can be incredibly beneficial in so many different areas. With the summer school holidays reaching an end, you may find yourselves under pressure to ensure the children are all ready and prepared to return back to school. You may be a student about to embark on your new journey to university or if you’re like me, you may have started getting concerned about the autumn days drawing in, with less daylight hours and cooler weather. Aromatherapy can help us embrace these changes positively and help beat feelings of anxiety during this time of transition. New beginnings and the autumn months are after all, something to celebrate and it can be a really beautiful time of year . Because stress is often argued to be one of the roots causes of minor health problems, sleep deprivation and other problems that arise in our lives. This is what makes the practice of aromatherapy so incredibly beneficial to us, and what’s more it can be so easy to incorporate to your daily routines, so you don’t have to spend a lot of time preparing and organising it. 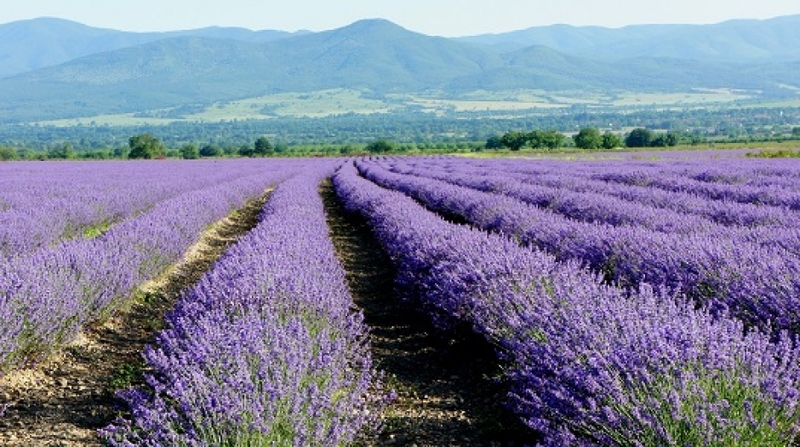 In this blog, we’re going to look at just a few ways in which you can use Lavender essential oil in and around the home to help create a relaxing and stress free environment for you and your family to enjoy. (1) Lavender before bedtime to help induce a good night’s sleep – one of the classic but really effective ways of using Lavender is to add a few drops to your pillow below bed time. Alternatively, you can add 2-3 drops to a cotton ball and place it inside the pillow case to avoid staining the covers. The scent of Lavender is renowned for helping centre our thoughts and slow down a racing mind (often the key cause of sleep deprivation). (2) Use it to calm nerves – new beginnings such as the first day back at school can be a nerve wracking time! Lavender has on many occasions been shown to help soothe nervous tension and ease us into a calmer and more stable emotional state. If you’re a new university student, try keeping a bottle with you to use as and when needed. For younger children, we’d recommend to always ensure they are supervised by an adult – a few drops on a handkerchief or tissue would be a good alternative in the case of children. • 3 drops Lavender, 2 drops Chamomile Roman and 1 drop of Geranium. (4) Ease away your worries with a relaxing bath – an aromatherapy bath will be beneficial not only for relaxing the mind, but also helping release tension in the muscles; a great choice if you’ve been on your feet all day. A simple, yet incredibly effective relaxing bath recipe could be adding 2-4 drops of Lavender and a cup of Epsom salts to a tub of warm water (alternatively, you could use this as a foot spa and relax whilst reading or watching a film!). The Epsom salts and Lavender work wonderfully together to help you feel restored after a stressful day. (5) Add a few drops to your shampoo, shower gel and body lotion – a lovely simple way of enjoying the benefits of Lavender essential oil is to simply incorporate it into your morning or evening shower routine. You can also add a few drops to the shower floor and enjoy the aroma as it diffuses through the steam. A great alternative if you don’t have the time for a bath. There you have just a few great ideas on how to make the most of this wonderful oil. Taking time to unwind and relax is more important than we give it credit for; especially for those of us with a never ending list of tasks. Having some quality time to relax and unwind can help us to face the world with a fresh mind and ease ourselves into new situations. Using essential oils may not work miracles, but it can certainly offer a helping hand. Whether this be helping us get a good nights’ sleep, easing feelings of anxiety or simply helping us to create a warm and inviting space in our own homes where we can enjoy spending quality ‘me’ time; using essential oils to relax is a hugely enjoyable way to reap the many benefits of their properties they have to offer. Thank you for taking the time to read our blog, we hope you have found this useful and make sure you keep an eye out for more FREE tips and advice to come.